There are two primary ways we work to fulfill our social justice goals: one is to have community singalongs, and the other is to organize a number of benefits for other social justice and non-profit organizations each year. 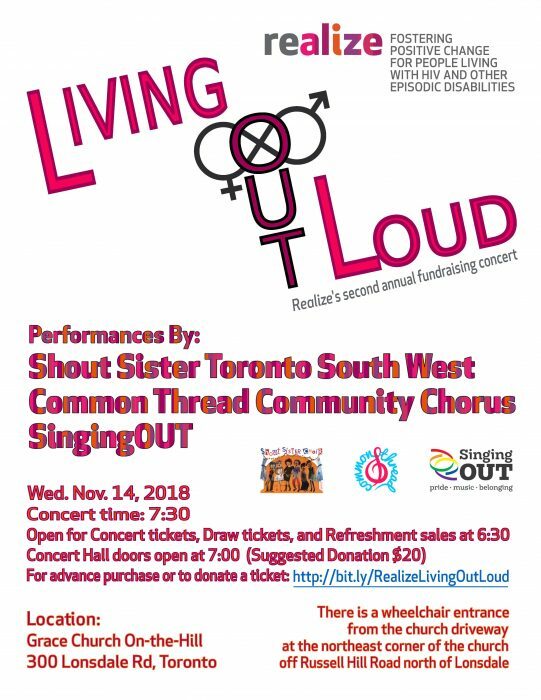 These performances raise funds for the partnering organization and increase the awareness and understanding of choir members about a particular aspect of social justice work in Toronto. These events are very much a partnership – both the choir and the beneficiary organization contribute to the organizing, promotion, and the benefit program.